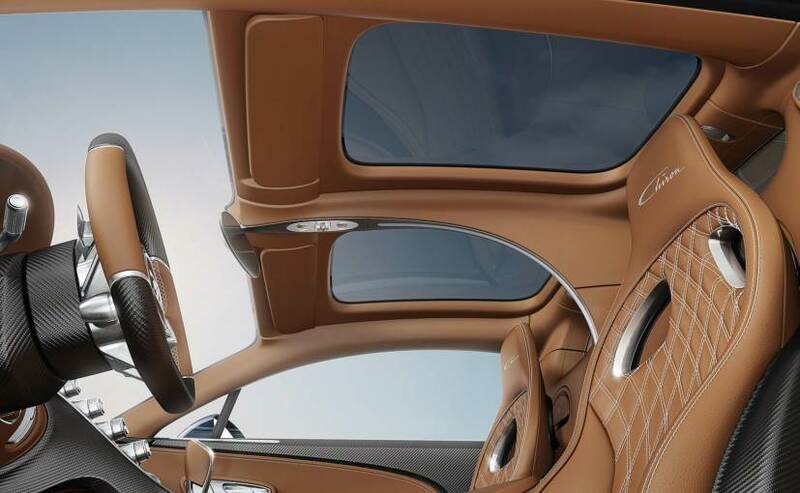 Bugatti Chiron with now gets a new two-piece glass roof called the 'Sky View'. The optional accessory has also increased the headroom by 1.06 inches (2.7 cm). As if the Bugatti Chiron itself wasn't desirable enough, the French Hypercar maker has now decided to make the car even more likeable for its super niche buyers. 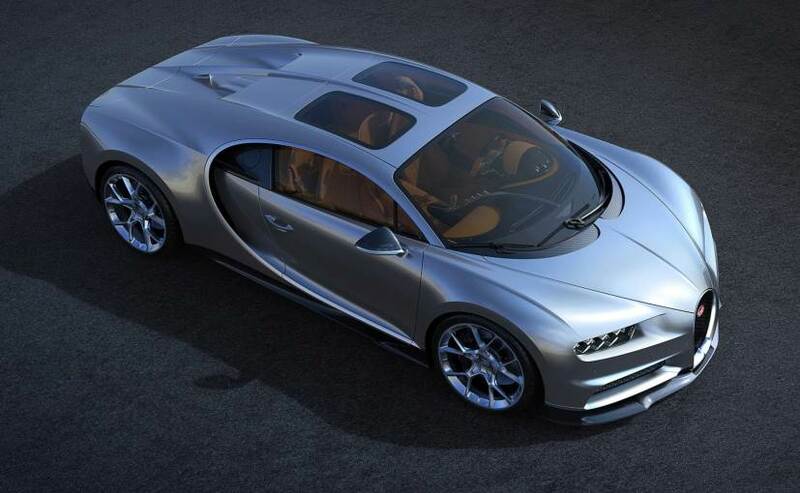 Bugatti will now offer the Chiron with a two-piece glass roof which it calls the 'Sky View'. This new optional feature for the Chiron includes two fixed glass panels in the roof of the vehicle, each 65 cm long and 44 cm wide, above the driver's and passenger's seats. As an added benefit, with the Sky View glass roof, the Chiron now also comes with increased headroom, which is higher by 1.06 inches (2.7 cm), surely a welcome addition for customers. The new Sky View glass roof is a fixed setup and is made up of a newly developed laminated structure with thin glass and four intermediate layers. In fact, each layer is there for a purpose - for noise reduction, to reflect infrared radiation, there is a layer of tint to prevent dazzle effects and to protect occupants' privacy, and finally, a layer to filter out harmful ultraviolet (UVA and UVB) radiation. Bugatti claims that the laminated design of the glass roof has further aided in improving the stiffness of the roof panels and in no way has affected the vehicle structural integrity and crash safety. The Bugatti Chiron with the Sky View will be on display at the upcoming Monterey Car Week in Pebble Beach California, at the end of August 2018. In addition to this Sky View-equipped Chiron, Bugatti will also be officially pulling the wraps off its new, highly secretive hypercar Divo, at pebble beach. Named after Albert Divo, the French racing driver, the Bugatti Divo will see a limited production run of only 40 units and will come with a whopping price tag of EUR 5 million ( ₹ 40.33 crore).